I just wanted to give a quick ‘well done’ to Aduna the company I did some work for a while ago… they even gave me a quick mention here too, how kind. Well I wandered into Chorlton and smack bang in the window of the local Holland and Barrett there’s my packaging shouting out for all it’s worth lol. The company are going from strength to strength after becoming runners up in the Virgin ‘Pitch to Rich’ competition and landing themselves a cool £100,000 which is being channelled into their Make Baobab Famous campaign. Apparently close sources tell me that the bars were larging it up backstage at the Oscars recently so they’re certainly on their way. 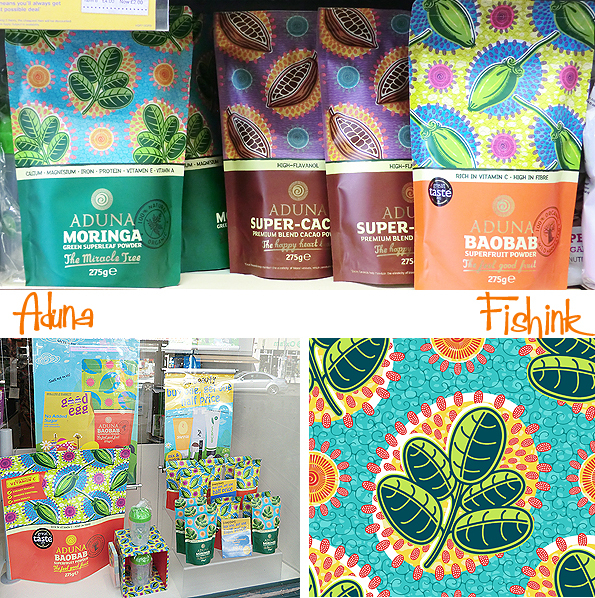 Since Working on the Baobab packaging, I also created the Moringa one too, and now they have Super Cacao.. whatever next! Well done guys, keep up the great work. This next artist I discovered when in Lisbon, yet Yara Kono was born in São Paulo, Brazil, in 1972. She started making her first drawings on the wall of the sitting room. Her mother, who at first was not too pleased, finally gave in to the “artistic talents” of her daughter. From wall to paper, from paper to the computer the years have gone by. Since 2004 she has been part of the Planeta Tangerina team. 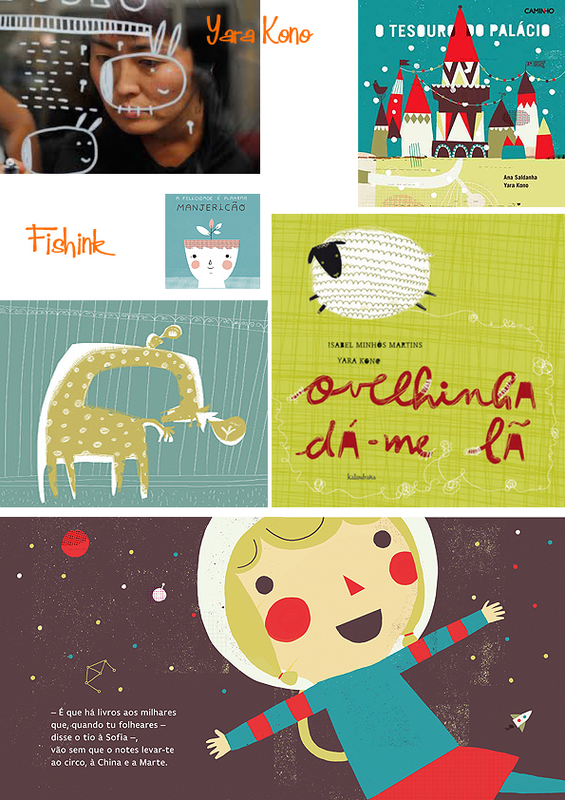 In 2008 she received together with Isabel Minhós Martins, an Honorable Mention at the 1st Compostela International Prize for Picture Books with the book “Ovelhinha Dá-me Lã”. 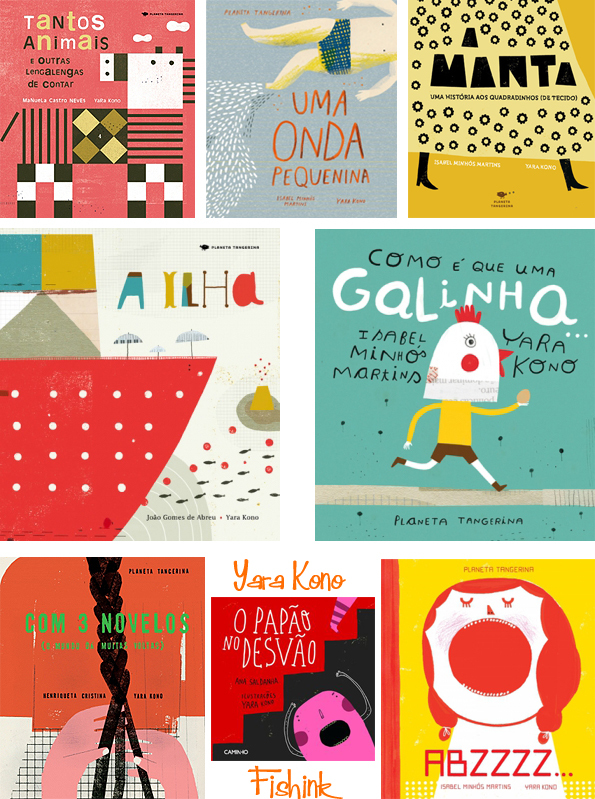 In 2010 she won the National Prize of Illustration, with “O Papão no Desvão”, written by Ana Saldanha. In 2013 «A Ilha» by João Gomes de Abreu and Yara Kono, won a Mention in Opera Prima Category at the Bologna Ragazzi Awards. I came across her work through a calendar I found whilst in Lisbon, her work is cheery, colourful and full of life. 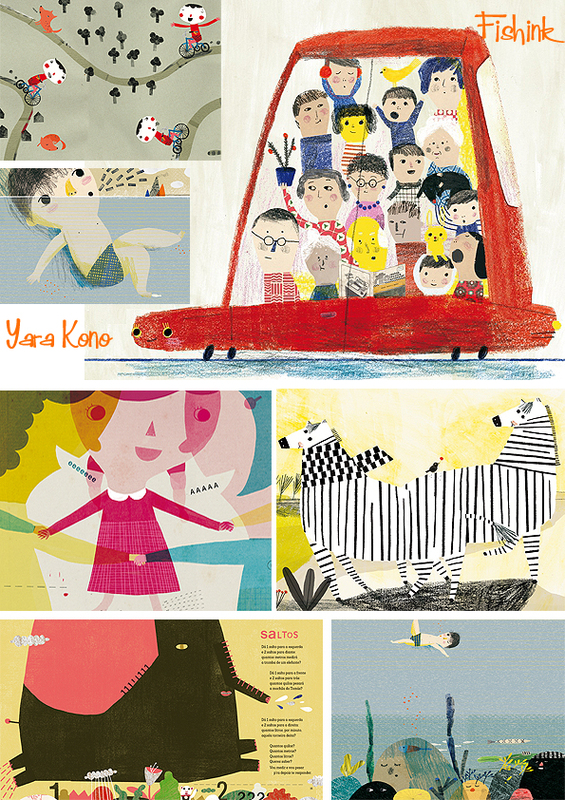 Yara has illustrated many books. I like her style and the way that she creates her animal shapes. There’s also a softer pencil style to her imagery. Great work, will keep an eye out for more developments with Yara’s work. More photographs on her Instagram page. Congratulations on your successful packaging. I was admiring it just the other day in Bury St. Edmunds H and B shop window! 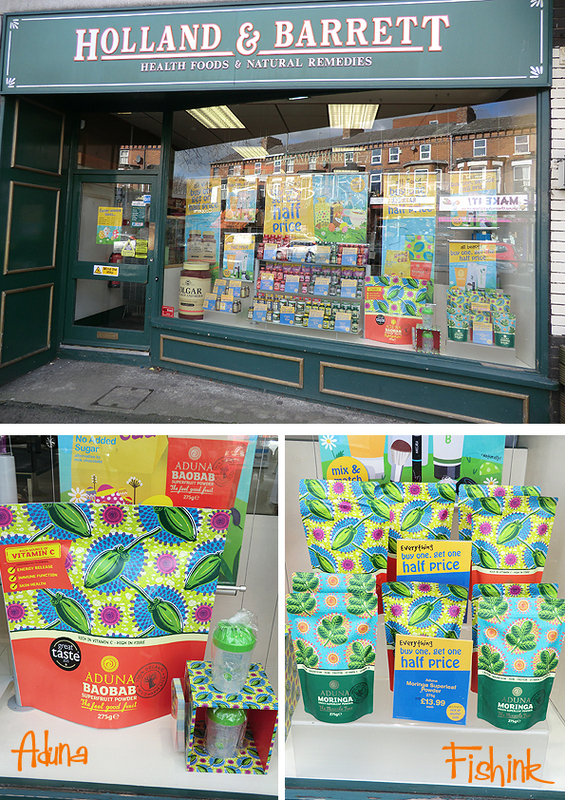 Wow, you’re a star Craig and your packaging looks fabulous as a window display!! Very well done! I shall be looking out for it all over the place from now on….! Were you tempted to grab passersby by the arm and drag them over to ‘your’ window and and excitedly exclaim, “See! See! I did this packaging design!” I would have! I bet it was a wonderful surprise. I resisted the urge Joy, but yes it was a lovely surprise. Wow! Your packaging looks fab! I bet that was a nice surprise when you were out shopping. 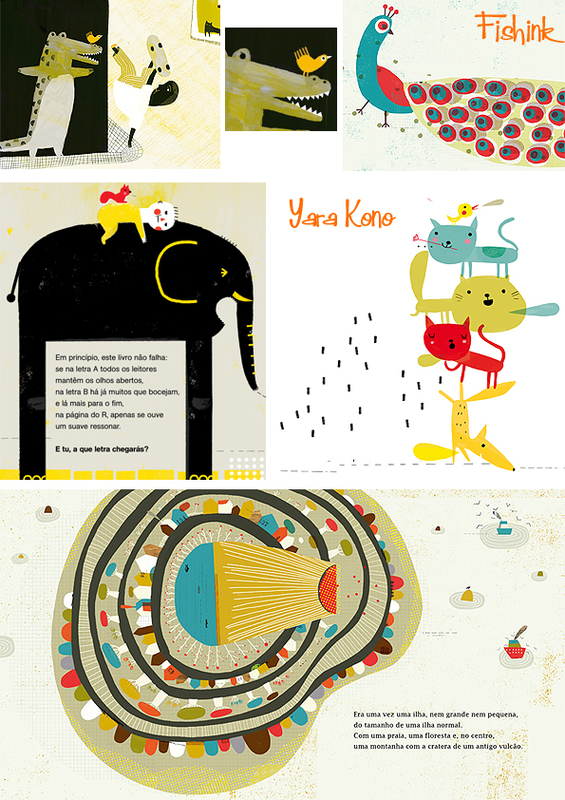 Yara Kono’s work is delightful. You can’t help but smile when you look at it. Aww thanks Ali, yes it was a great surprise to see it in the local shop window, and I also agree, Yara’s work does make me smile too.